Whether you want to sell online, build a mobile app, or just collect payments from your customers, Magpie has the tools and features you need. Magpie's apps and tools allow you to collect customer payments easily on their mobile phones. Your web or native apps on iOS and Android just work. Charge any card with a Visa or MasterCard logo, whether credit, debit, or prepaid. Soon: Accept bitcoins and other digital currencies and get paid in local money! An online store in minutes. One or one million bills sent in blazingly fast. Customer payments processed in under a minute. Quick and easy - really. Our platform adopts web and payment-industry best practices and security standards without getting in the way of doing your business. Rather than sending paper invoices, condo property managers just push bills to our platform. Residents just pay using their mobile phones. Condo owners who live abroad can also pay by email. The innovative Fetch mobile app saves people time looking for parking in BGC. Fetch uses Magpie's API to make payments something users do not have to think about. Download Fetch here. Winning Coaching (a Division under Team Planu Inc.) is all about motivating people to be happy again. This consulting company conducts seminars where clients have the convenience of purchasing services on PayTerminal. Vandals on the Wall and Gabi Na Naman Production use PayButton to make it easy for fans to buy tickets. (They also don't have to pay exorbitant commissions to big ticket sales networks.) Check out their next event here. The fastest way to start collecting payment from your clients! PayTerminal™ is the software version of the card  that you see when cashiers take your card for payment processing. As a Magpie merchant, you get access to PayTerminal without additional cost. You can send a charge to your customer at any price you set. The customer pays using his card without you having to touch it. The easiest way to monetize online. Create a PayButton™ and drop it onto your web pages. Instant buy-with-a-click for your products and services. Click on the button to donate P250.00 to Philippine Foundation for Breast Care, Inc. Your best friend for getting your invoices paid. Send bills once, or send them regularly. Send one or send millions. 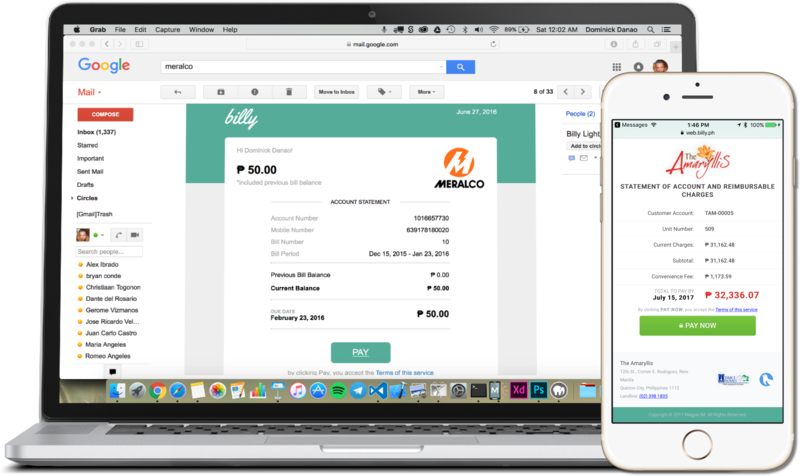 We deliver your invoices over SMS, email, and push notifications. Once your customers receive the bill, it just takes less than two minutes to pay. On any device they prefer! We are developers. And we know you've advanced use cases that cannot be served by our pre-built payment tools. So we created an API that you can use for any web and native app you have in mind. Copyright (c) 2017 Magpie.IM Pte. Ltd.